I’m a big fan of margaritas, especially in the summer. There is nothing like the aromatic smell of burgers cooking on the grill, a little Bob Marley playing in the back ground, and an icy cold margarita in hand when it comes to entertaining friends on the deck. A few months ago, I had dinner at my friend, Sohiela’s house. An evening of food and drinks at the Mirsharif’s home is always an welcomed event since Sohiela makes some of the most delicious Persian food I have ever tasted. So it wasn’t a surprise when we arrived and she was busy mixing up a brand new flavor of Margarita she proudly claims as her own concoction. 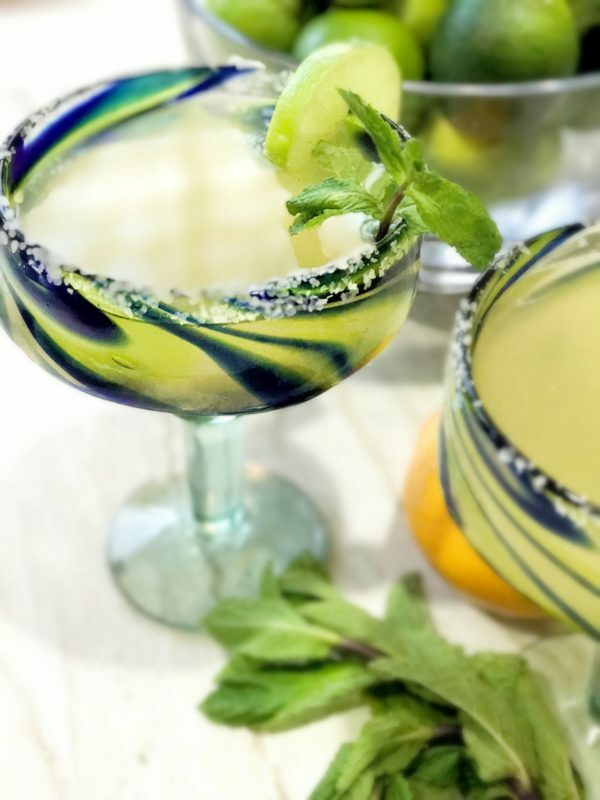 Meyers Lemon Coconut Margarita is a unique twist on the usual margarita recipe most of us have come to know and love. It’s a little bit sour, a little bit tropical and a little bit spicy all rolled into one. Now I have yet one more reason to love summer-time margaritas but this year, they are perfectly, wonderfully, Soheila-style delicious. Oh, and don’t let the cold weather months stop you from making this drink. They are equally wonderful during the holidays and a refreshing choice to serve at any New Year’s Eve celebration. Juicy Meyers lemon, refreshing coconut water, and just a slight kick of cayenne heat create a delicious new experience for margarita lovers alike. In an shaker, add coconut water, tequila, lemon juice, sea salt, cayenne pepper, and ice. Shake for 15 seconds and pour into an 8 ounce glass.